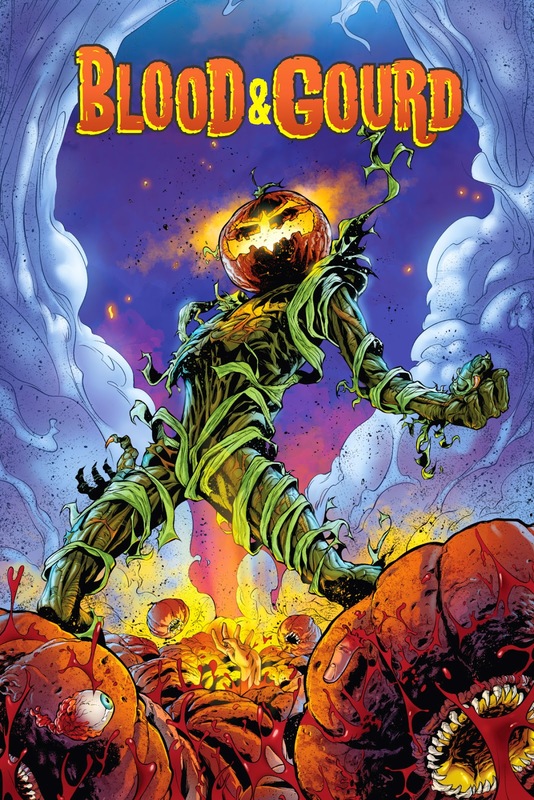 BLOOD AND GOURD Review - Orange Is The New Horror | Warped Factor - Words in the Key of Geek. "After years of abuse and humiliation, the pumpkins… are ready to pick us. You can beg! You can plead! You can scream! But these Hell's lanterns are lit only with the burning desire to watch you die." This story starts with a corporate buy out. The charms of Seminal Chemical. And some very odd pumpkin related research. Cut to a typical family outing. Mum driving the kids somewhere, threatening them that they will behave and they will have a good time - or else! Been there myself a few times. The story unfurls carefully with a lot of hints of back story for characters and corporations both. The way that plants come to life, the tendrils and the teeth - really unnatural goodness. In typical American style, the viewing public are easily convinced that it's all an act, but behind closed doors, the real takeover starts. 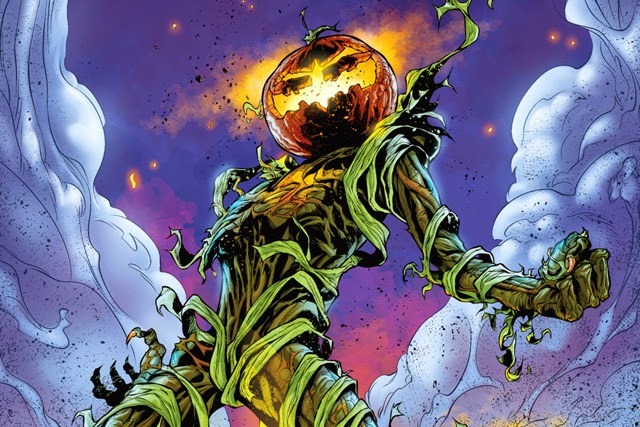 The gourds gorge on human blood and in the end the biggest prize pumpkin, diameter taller than a man, turns into something extra special indeed. Have to say, the Henderson Pumpkin Farm wouldn't be high on my list of must-go venues, but on the other hand when they were younger I did take my kids to places that were so lifeless, so I think human entangling, man-eating pumpkins might actually have been a relief. The story keeps you reading, but as always with comic books the artwork plays a big part in the attraction. There are always things to look out for in the pictures that are off action, the camera view finder image will please some people I'm sure. I can't say I was impressed with the some of the human artwork, a couple of frames I had to look twice to figure out if the figure was male or female, but the drawing of the Pumpkin, and especially the final Pumpking (my name, I think he's actually to be called a Stemhead) is great. My personal favourite are the five grumpy looking seedlings on page 42, so ugly they're cute! This one gets a four out of five from me. Gail Williams lives in her own private dungeon populated with all the weird and the wonderful she can imagine. Some of it’s very weird, and the odd bits and pieces are a bit wonderful. Well okay, she lives in Swansea with her husband and daughter. And the world’s most demanding cat. To find out more about Gail, check out www.gailbwilliams.co.uk - Dare you!